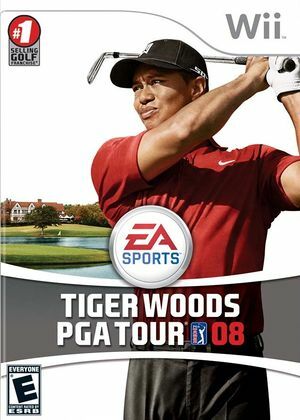 Tiger Woods PGA Tour 08 is the fourth-to-latest Tiger Woods golfing video game in the Tiger Woods PGA Tour series from Electronic Arts. It was released in North America on August 28, 2007. When using Medium/Fast Texture Cache, some 2D elements will be whited/yellowed out as a box. As well, any distance numbers that count up/down will get scrambled during rapid countdowns. Using safe texture cache fixes these issues. Refer issue 10705. The graph below charts the compatibility with Tiger Woods PGA Tour 08 since Dolphin's 2.0 release, listing revisions only where a compatibility change occurred. This page was last edited on 5 March 2018, at 08:32.